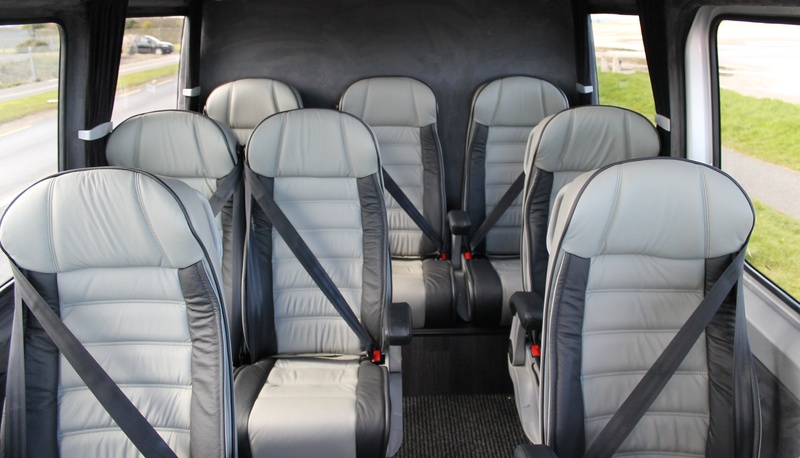 Our executive coaches cater for passengers for all types of events. Our luxury executive coach hire service is can be tailored to specific requirements. DC Chauffeur Drive will handle all your corporate and private tour group transportation requirements with our range of executive coaches. Our executive coach hire service caters for passengers for all types of events – both corporate events like conferences & meeting, and private hire events like tours and weddings. Our luxury executive coaches are suitable for country and city excursions, golf tours, conferences and transfers – we can tailor your transportation and your trip to suit your specific requirements. We understand that corporate and business clients need to reach their destination in comfort and on time, without the worry of traffic congestion or parking difficulties. This is why we always ensure that our corporate clients are transported swiftly and safely aboard our executive coaches. Our fully-trained and discreet drivers are available to transport our corporate clients from venue to venue – giving plenty of time to relax and recharge between meetings. The effective management of transport requires time, energy, experience and knowledge – which DC Chauffeur Drive have in abundance! For large conferences we can manage your car or coach requirements, liaise with your clients or arrange to “Meet and greet” at airports and other locations. For golf outings or incentive trips we can advise and organise all your transport requirements anywhere within the country.